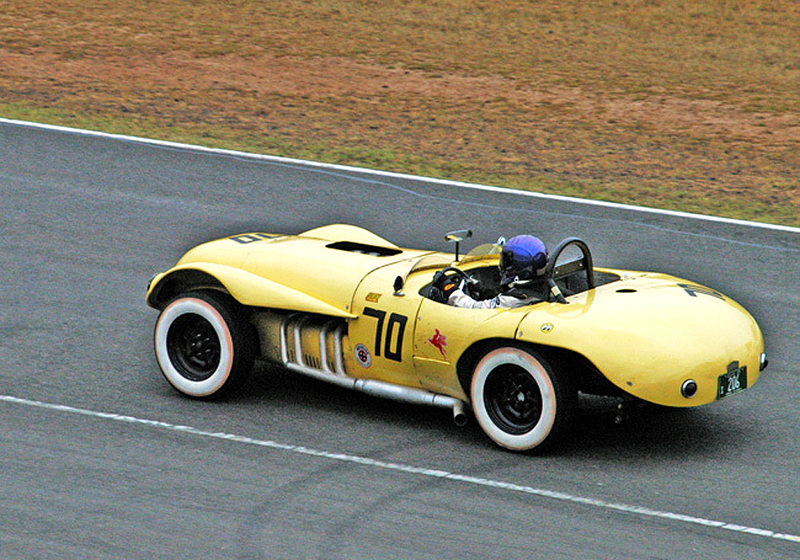 1959 – Historic Buick “Old Yeller II” at “The Creek”. 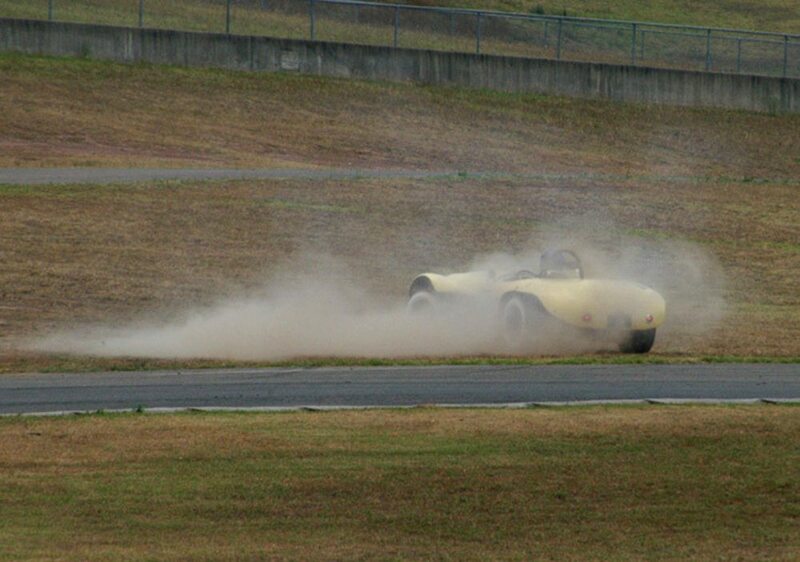 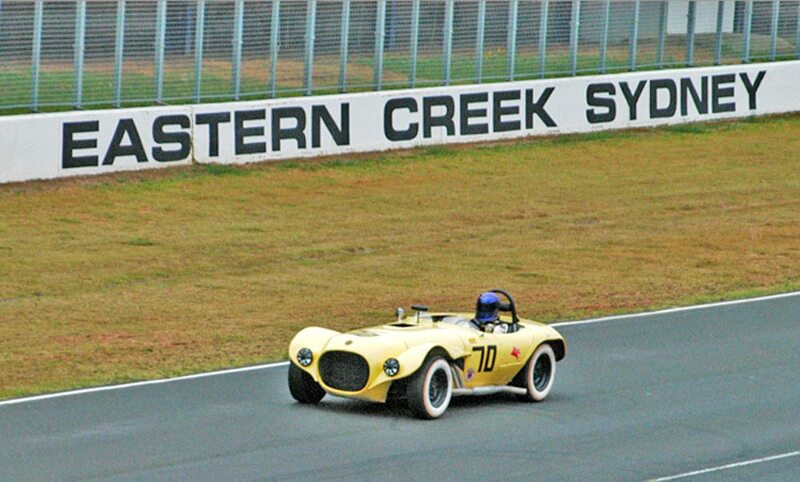 Buick Powered “Old Yeller II” racing at Eastern Creek, Sydney. 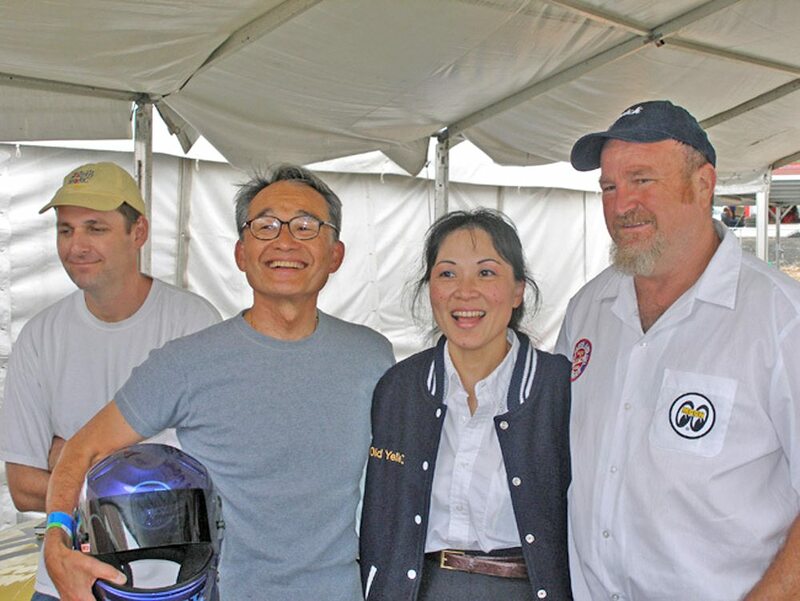 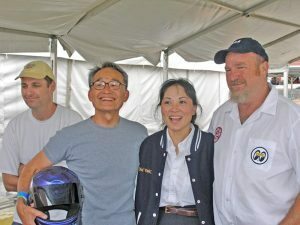 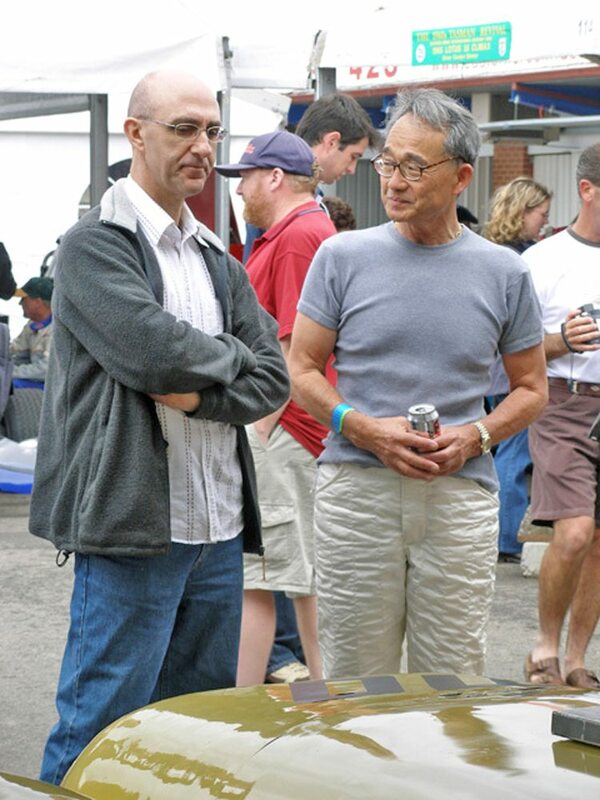 Photos: Edward Wong, Tony Gentilcore, Jim Russell, John Gerdtz. 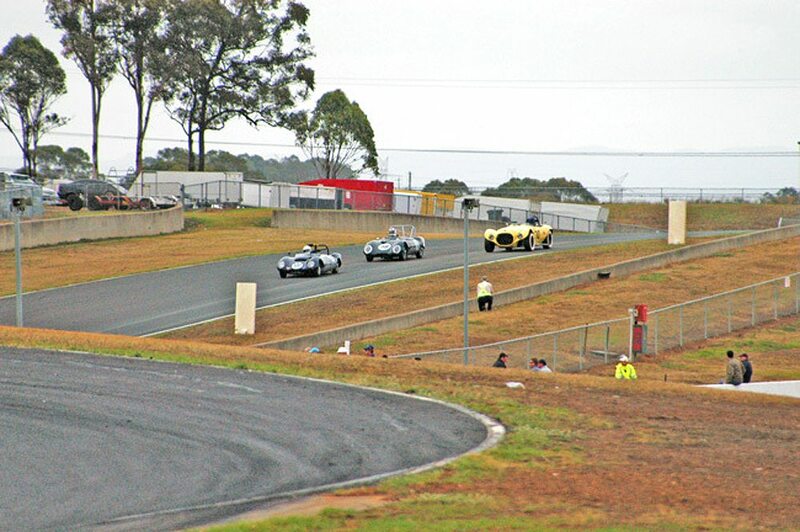 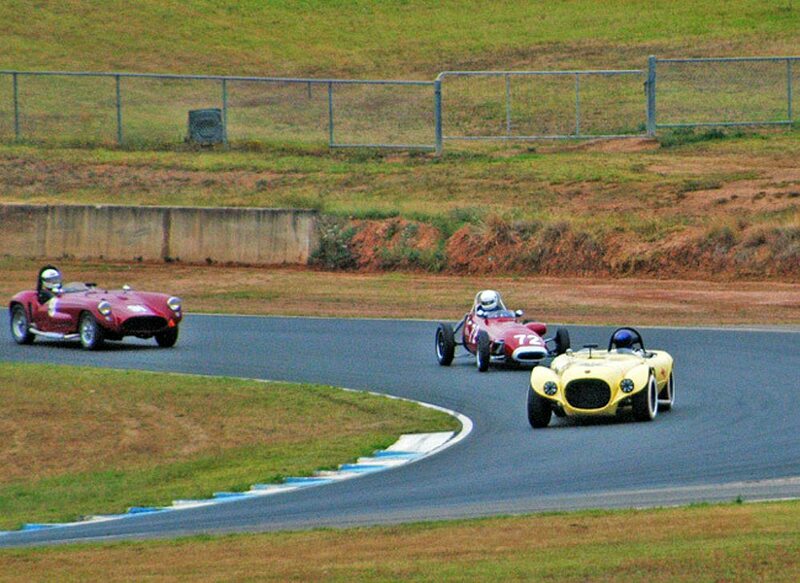 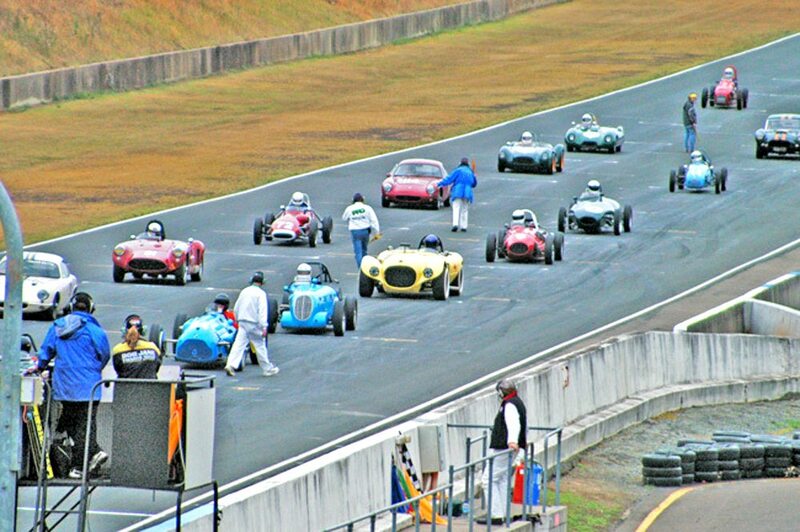 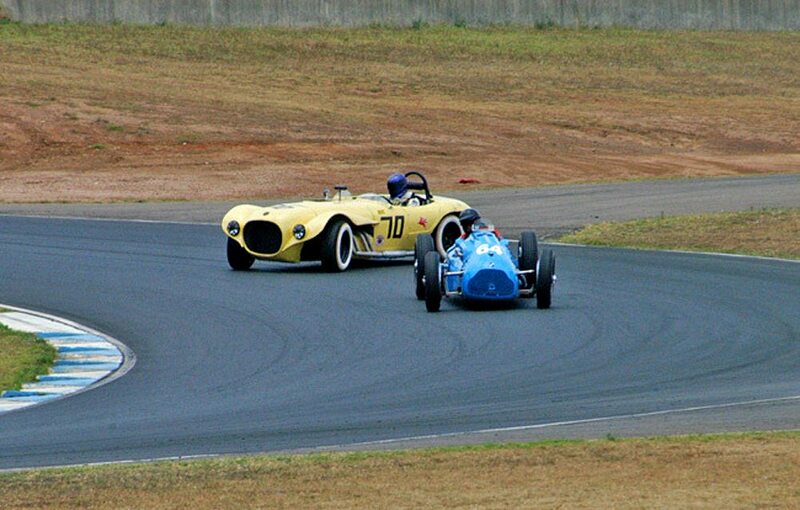 The Historic Sports and Racing Car Association (HSRCA) held a tribute to a magnificent era in Australian Motorsport at Sydney’s Eastern Creek International Raceway, Dec 1st-3rd, 2006. 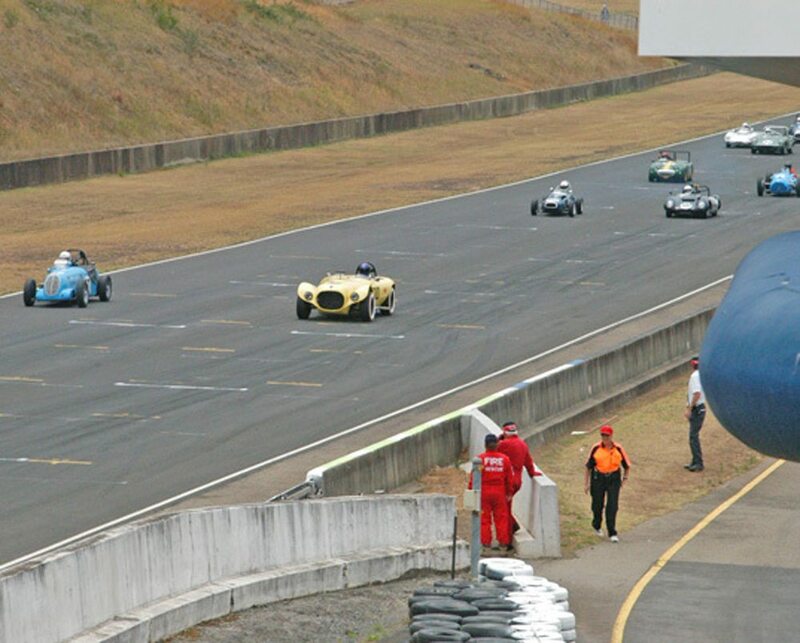 While the emphasis will be on cars that competed in the Tasman series of races, owners of other significant cars have been invited to participate. 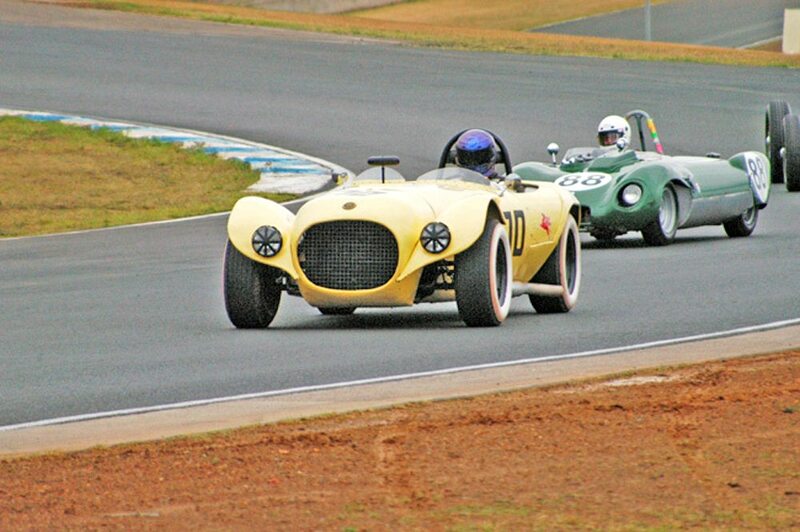 High profile historic race cars from overseas invited include Lotus’s historically driven by Jim Clark and Jochen Rindt, the first Brabham to win a GP in hands of Dan Gurney and other Brabhams including the one driven by Sir Jack Brabham in 1963. 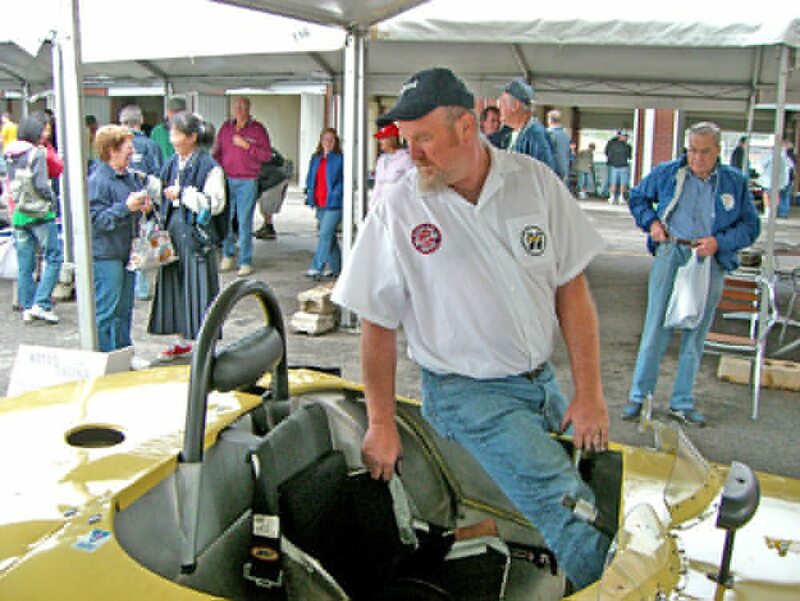 Also included in the overseas invitees, and of great interest to Buick enthuasists is “Old Yeller II” from California. 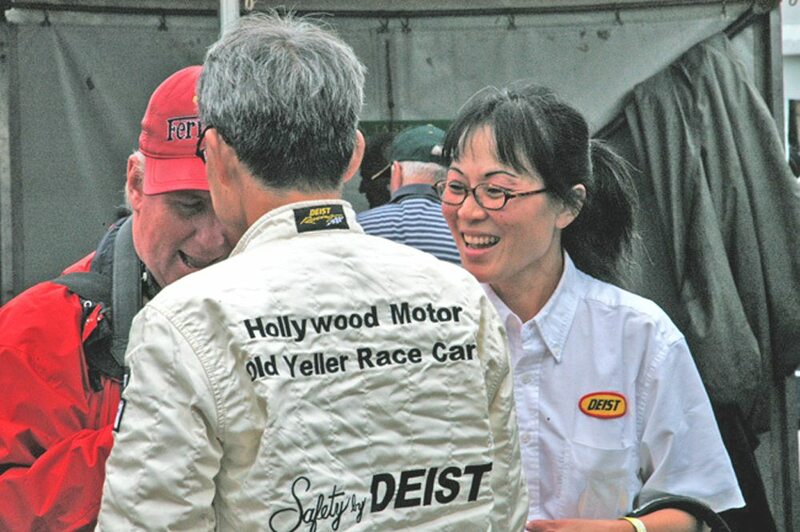 Old Yeller II, now owned and raced by Ernie Nagamatsu, is the “Backyard Special” built in the fall of 1959 at the legendary Hollywood Motors, Los Angeles. 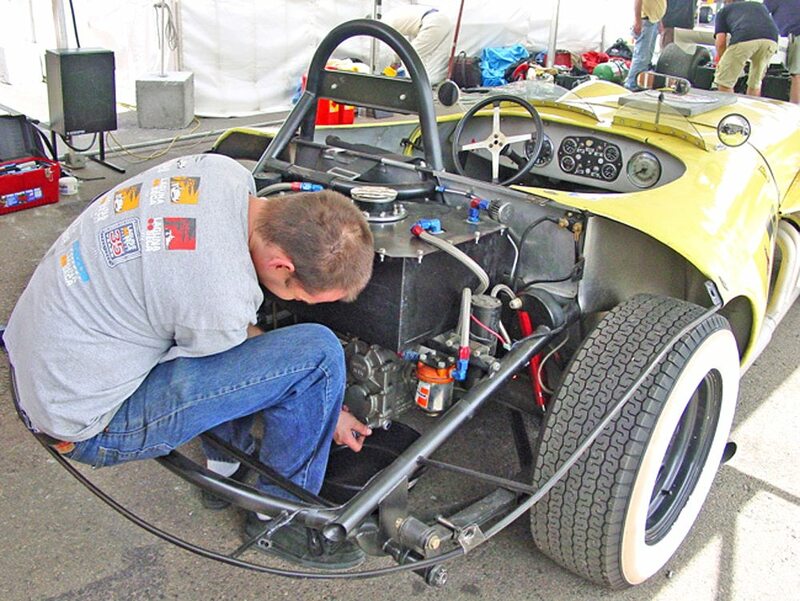 Powered by the big block 1959 401 “Nailhead” Buick (6.6 liter) engine which is positioned in the chassis as far back as possible to the firewall as the cockpit is over and near the rear end assembly. 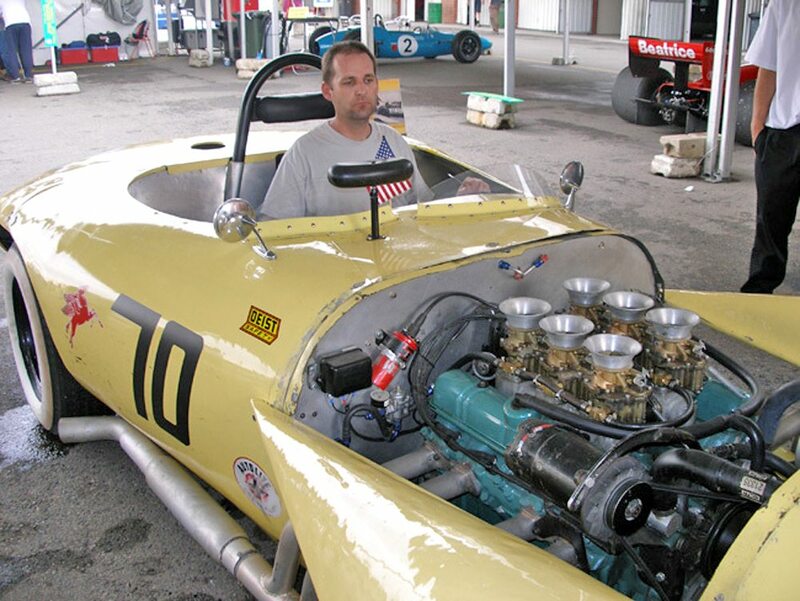 The Buick motor has a stock 305 bhp at 5400 rpm in the most mild set up.It was extremely fast from the start but had durability problems in the first five races. 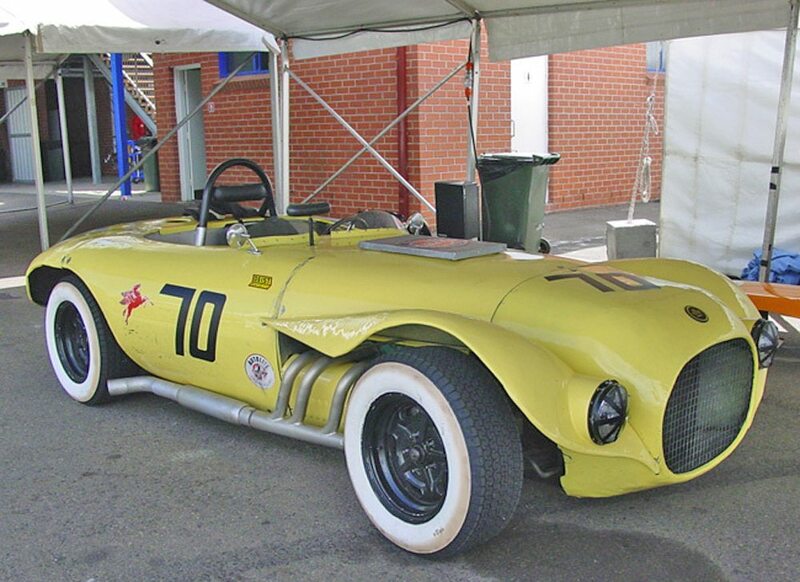 From that point in 1960, the Old Yeller II made racing history competing at all of the major International Sports Car Races as well as almost every other important California Sports Car Race in 1960. 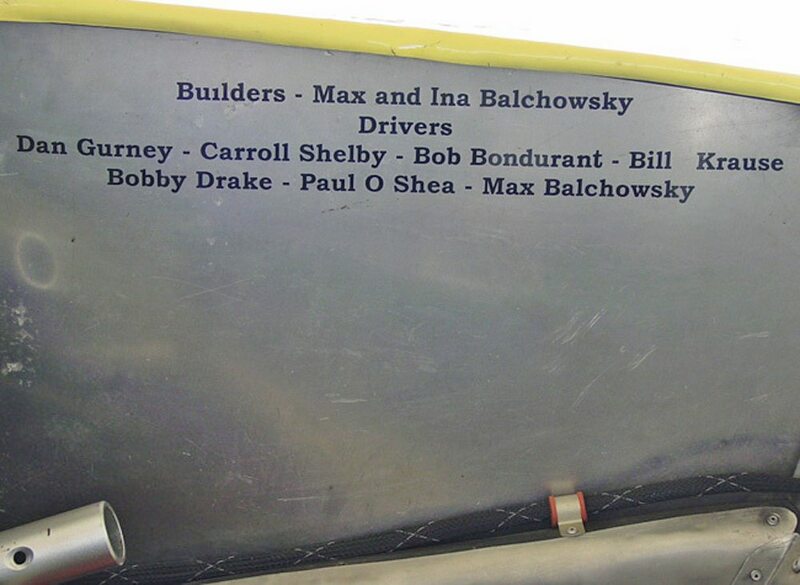 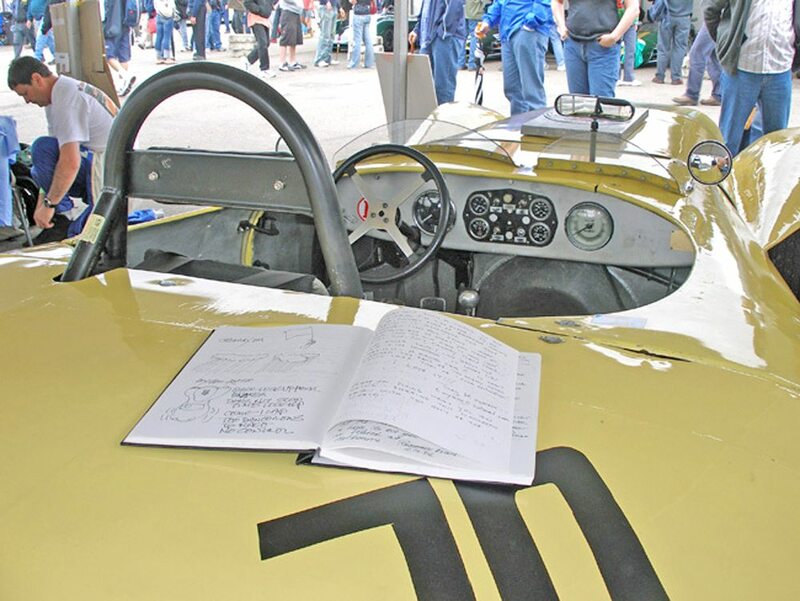 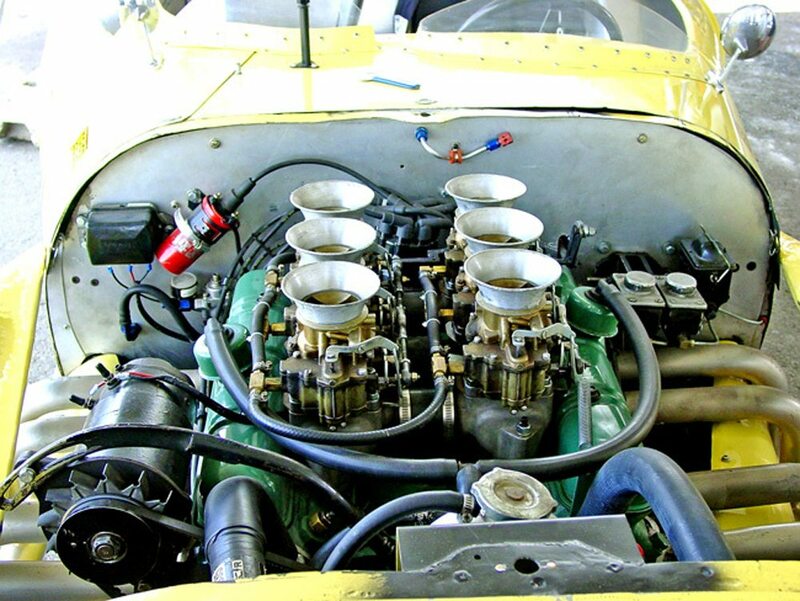 In 1960 Old Yeller II was driven by by many legendary drivers such as Carroll Shelby (Road America & Santa Barbara), Dan Gurney (Riverside International Raceway & Laguna Seca), Bob Bondurant, Billy Krause, Bobby Drake, Paul O’Shea, and Max Balchowsky. 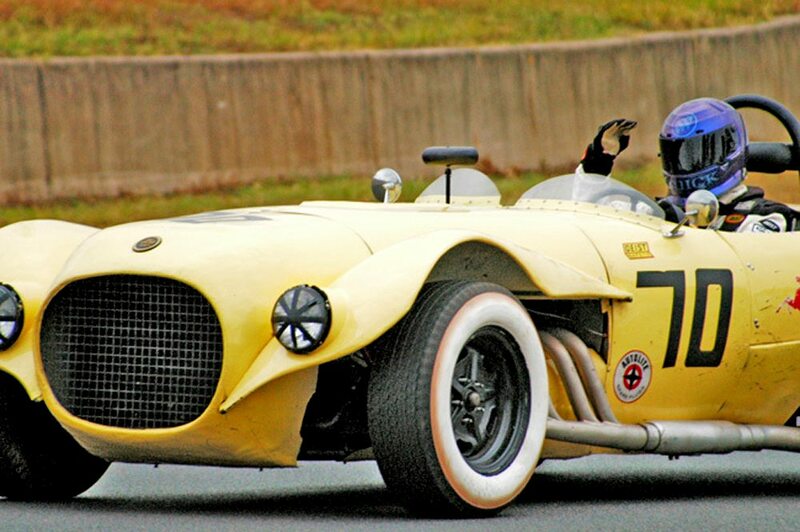 Many track records were broken with the Old Yeller II and the “Home Built Backyard Special” competed against the very best and newest Maserati Birdcage, Ferraris, Jaguars, and Porsches along with the road racing “Specials”. 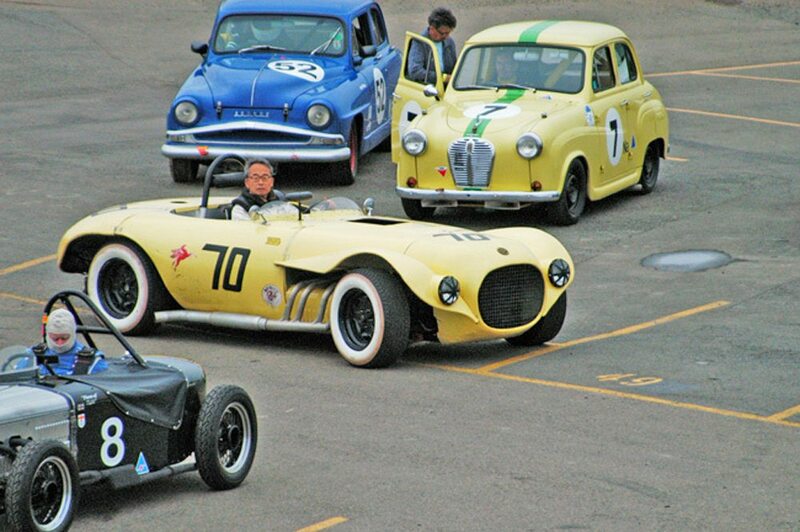 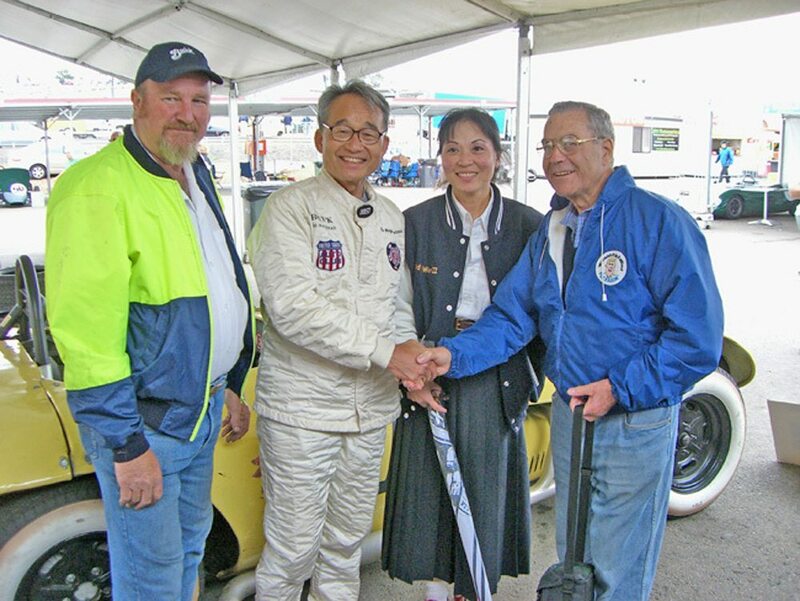 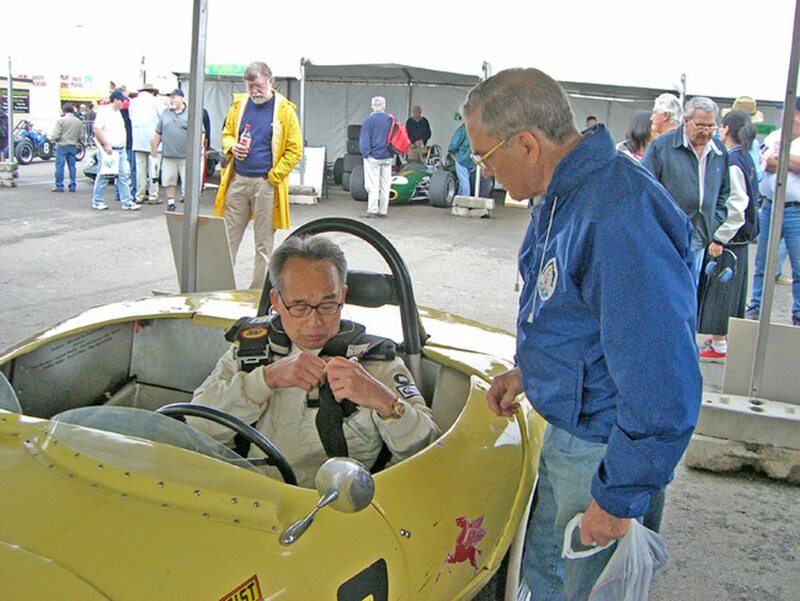 Ernie Nagamatsu bought the Old Yeller II and restored the car to the most period correct configuration of 1959. 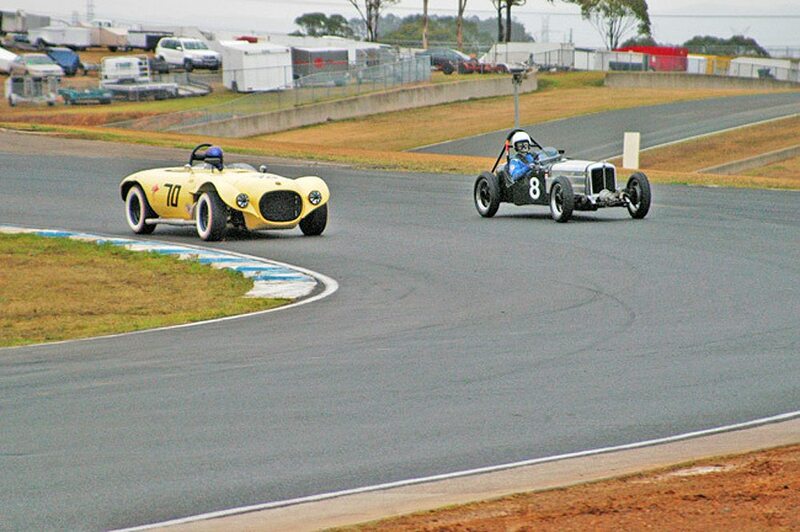 It is currently vintage raced by Ernie and occasionally by featured guest drivers. 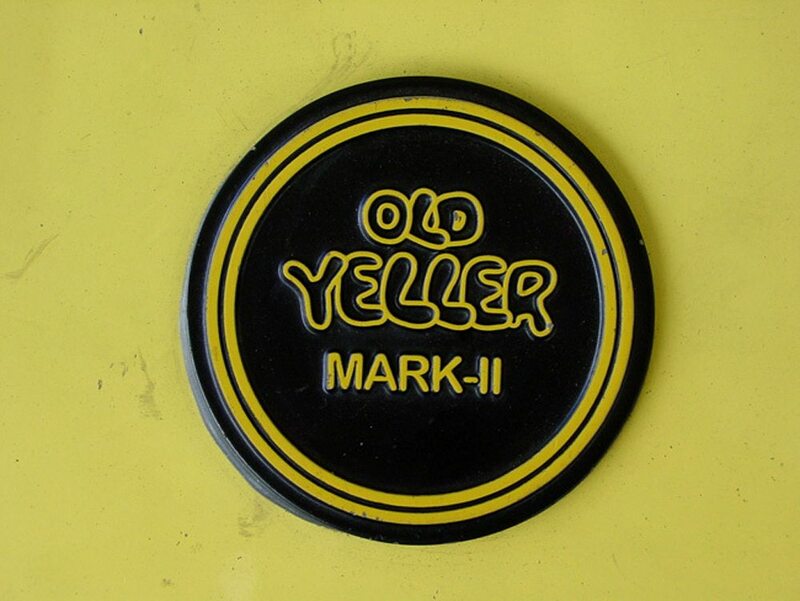 Since the early 1990‘s Old Yeller II has raced at events including: Elkhart Lake Road America, Coronado Speed Week, Palm Springs Revival, Phoenix International Raceway, Willow Springs, Monterey Historic Races and the Old Yeller II has been featured at five Goodwood Racing events (Festival of Speed and the Revival Meeting Races) in England. 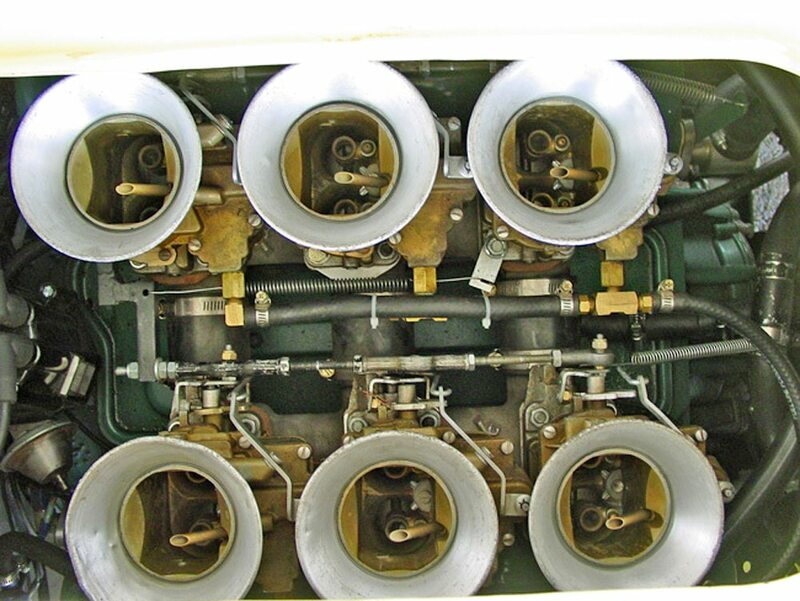 Webmaster’s Note: Look close at the mechanical detail. 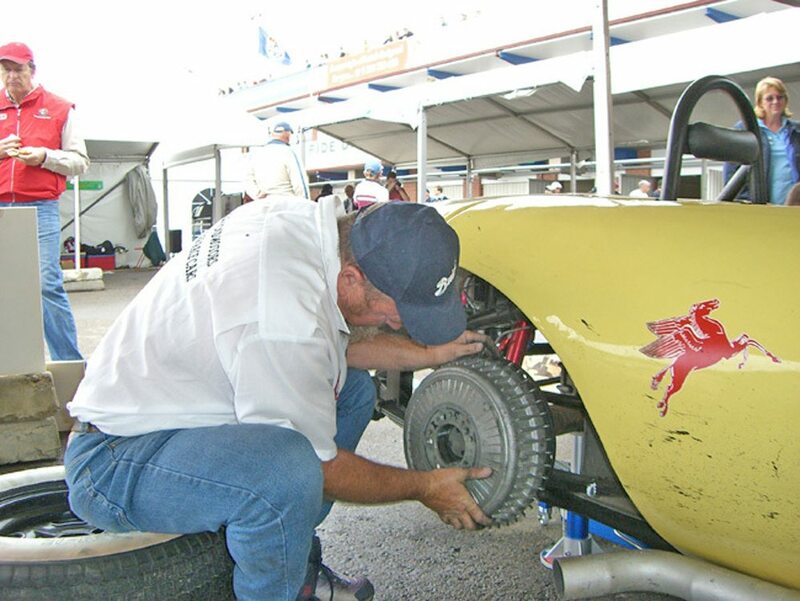 You will see the 10 minute diff ratio change being made by OY 2’s resident racing mechanic, Gerry Duttweiler from Ventura, California. 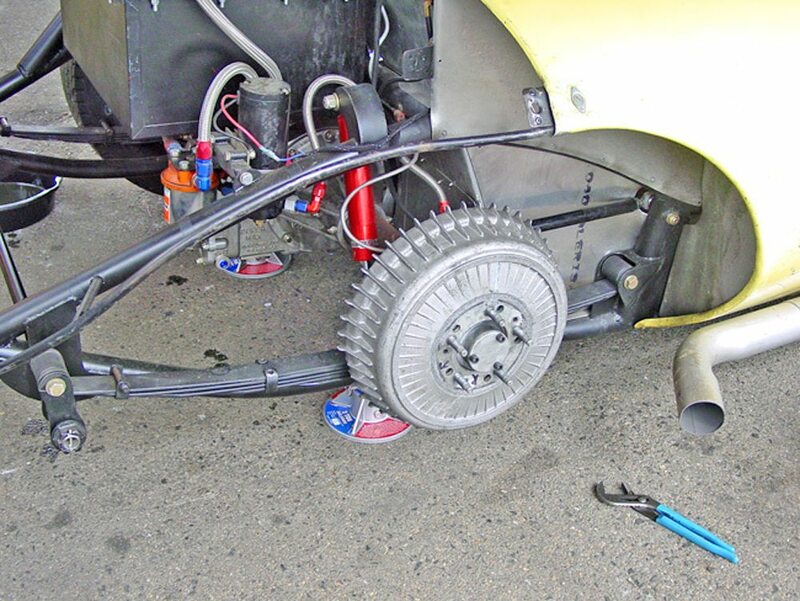 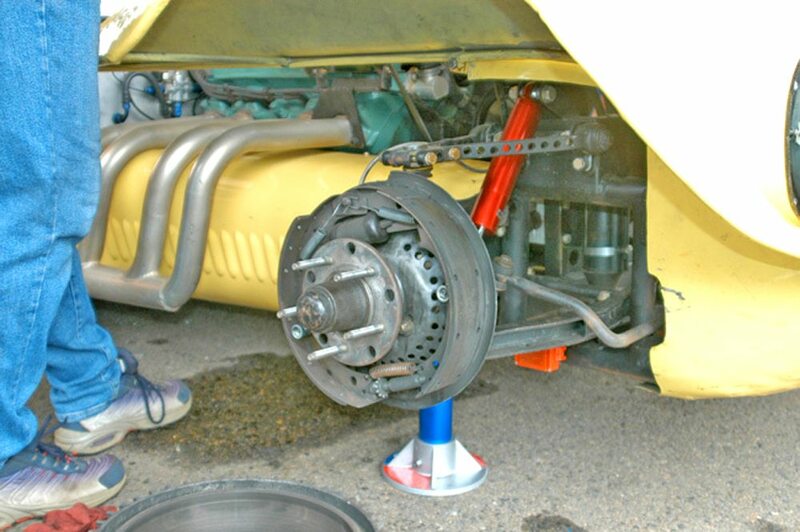 Also guest pit crew for the event, our club member, Jim Russell, who really got into helping with the rear brake problem. 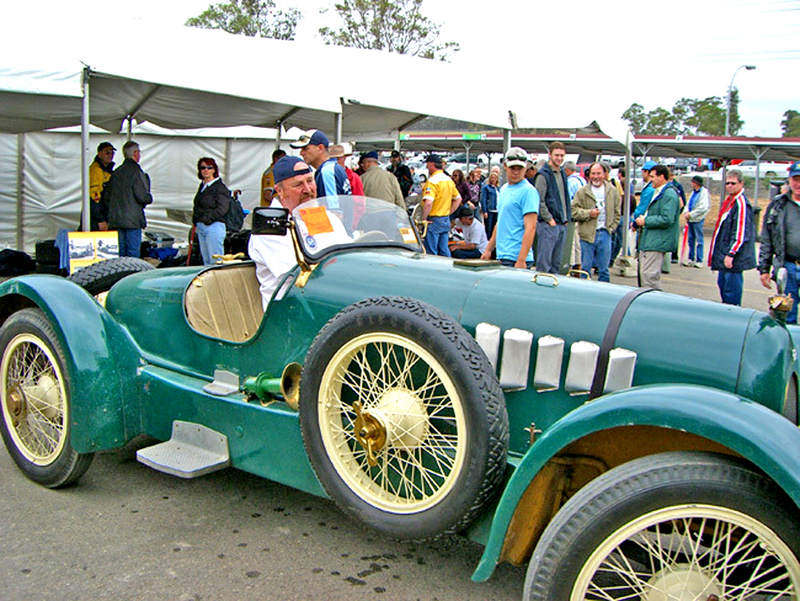 The other Buick in the pits with OY 2 is also a very historic Californian car The “Green Hornet” now owned by Jim Russell. 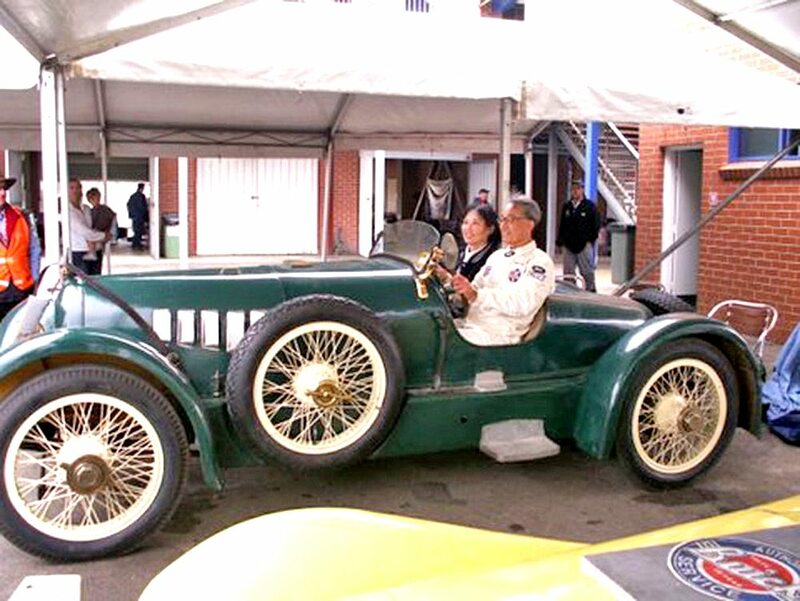 Built in 1925, it is mechanically a 1918 Buick 6 cylinder of 4 litre capacity. 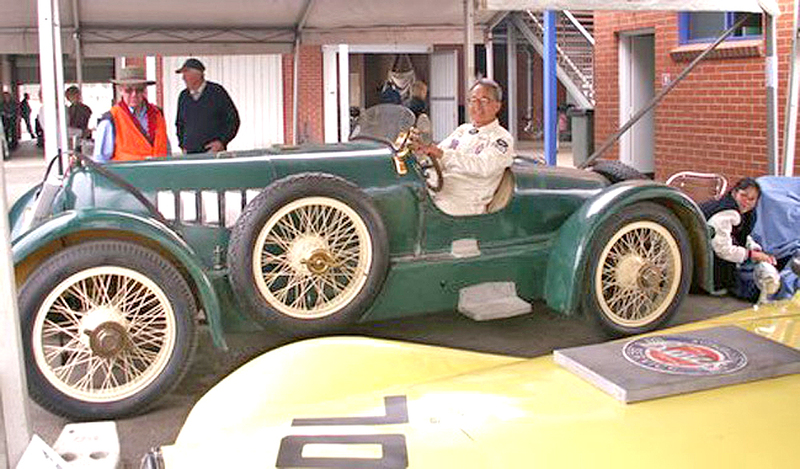 For more about this car select this menu scroll down to “1918 – The Green Hornet”.